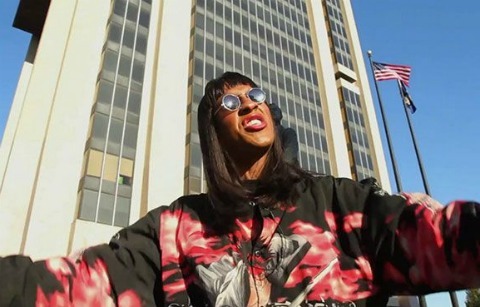 Been meaning to get this killer track from Harlem MC/poet/artist Mykki Blanco up for a while now but somehow totally slept on it - better late than never! Blanco's raw, ferocious flow is totally captivating - spitting out words which seem to warp and meld themselves into Arca's deep industrial production. Exciting to hear hip-hop that sounds so next-level pan-gender post-everything. Look out for Blanco's debut mixtape through DIS Magazine.